Chuck Yeager, the first man to break the sound barrier in 1947, did so with a Rolex on his wrist. Sir Edmund Hillary, the first man to ever summit Mount Everest, wore his Rolex to a dizzy height of 29,000 feet. "The first man to break the sound barrier in 1947, did so with a Rolex on his wrist..."
For more than a century, Rolex has been the timepiece of choice for the men who spend their lives up in the clouds. The latest iteration of the brand’s Sky-Dweller, first released in 2012, continues this tradition with style and substance. 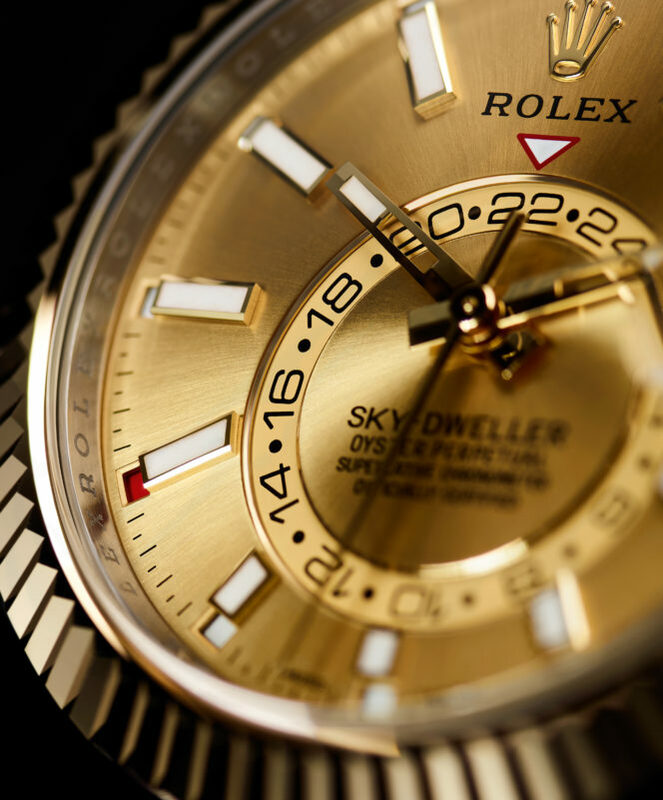 What makes the Rolex Sky-Dweller so tough? 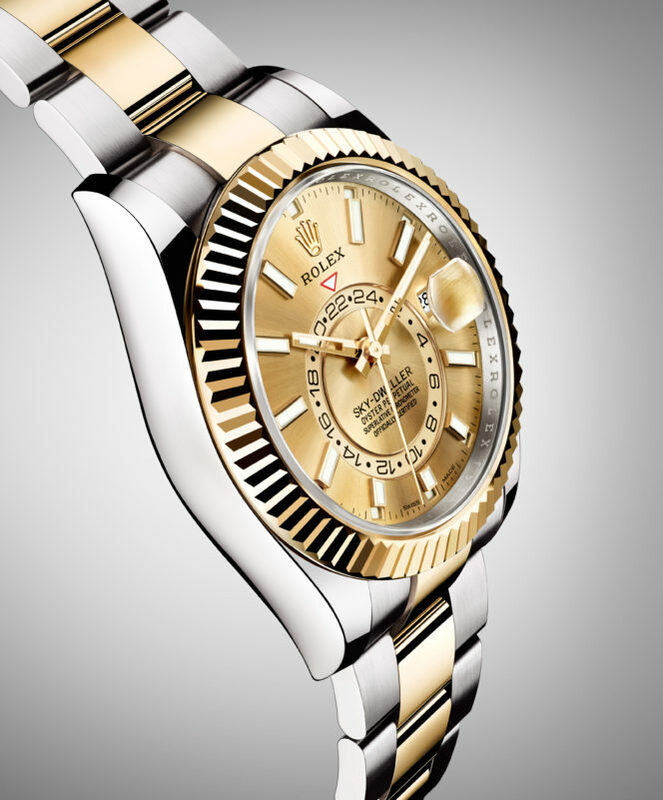 The watch’s 18-carat gold alloys are made to the highest quality in Rolex’s exclusive foundry. Crafted from only the purest metals and meticulously inspected at the brand’s in-house laboratory, the Sky-Dweller’s attention to detail is the perfect expression of the Rolex marque. 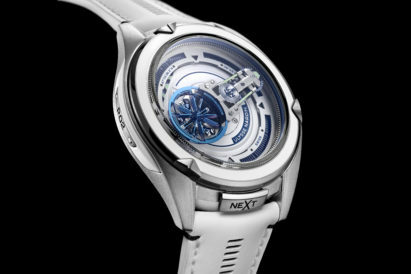 Why is the Sky-Dweller’s movement so special? The attention to detail is not limited to the cosmetics of the watch, the movement inside is classified as a Superlative Chronometer. 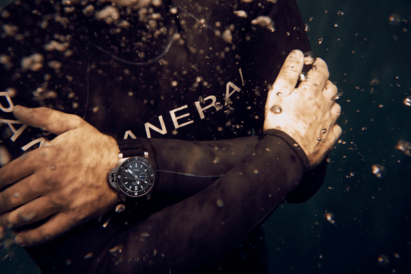 This means it has been tested by an independent company and then tested to even higher standards by Rolex afterwards. 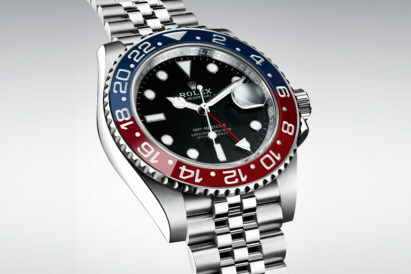 How many variations of the Sky-Dweller do Rolex offer? The entire Sky-Dweller family comes in a range of different gold colours to match all style types. 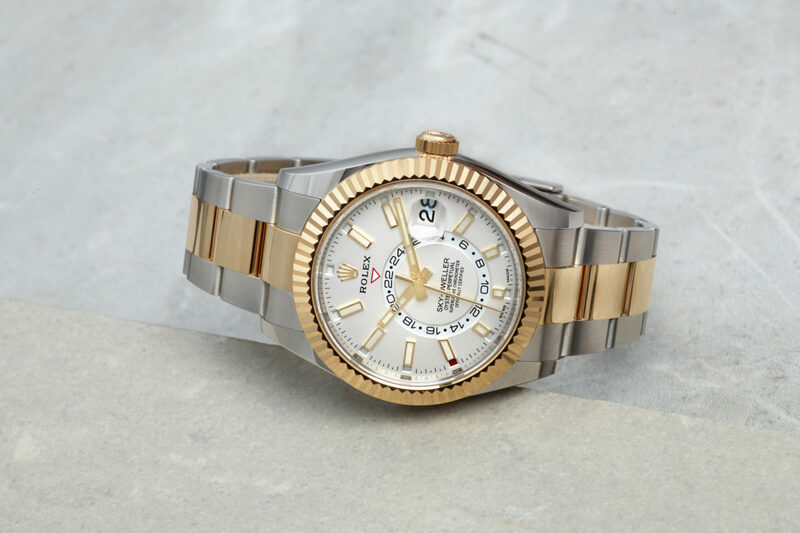 From a full yellow gold to the on-trend exclusive Rolex Everose gold versions this is one of Rolex’s most diverse ranges that comes with one of their premier complications for the man in the clouds. 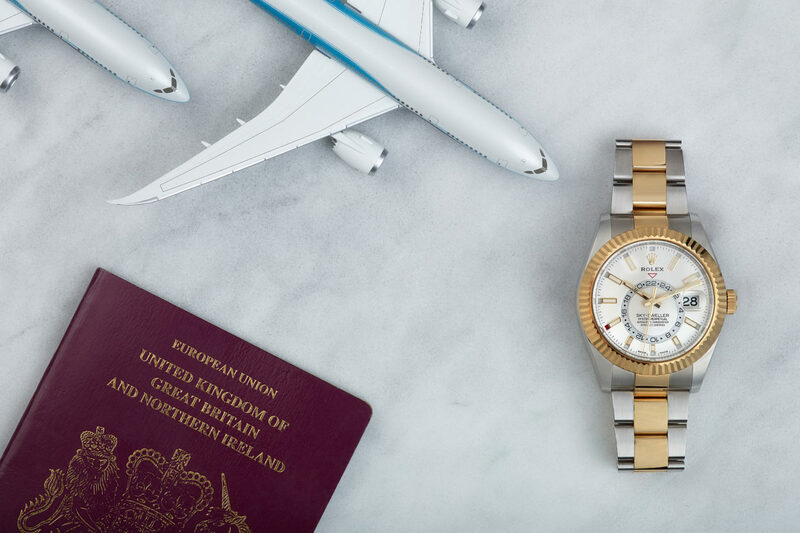 What makes the Rolex Sky-Dweller so good for travellers? 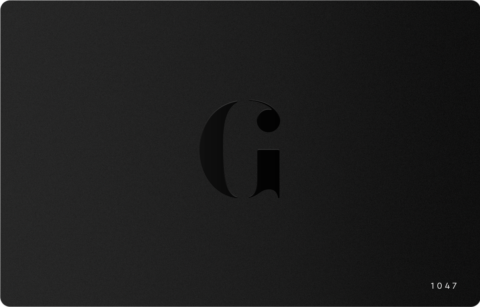 This exceptionally constructed timepiece comes equipped with everything an international jet-setter needs to easily keep track of time. Dual time zones can be displayed simultaneously with a fixed red triangle showing the alternative time being read off a rotating central ring. A calendar is also shown on the face, the passage of each month indicated by a contrasting red colour in one of the 12 windows around the dial.